Google Mobile Update Coming 21st April - Are You Ready? Google Mobile Update Coming – Are You Ready? Google’s next big algorithm update is due soon. What does this mean for your website and what can you do about it? Very few things send SEO experts into a spin like a fresh Google algorithm update. For those of you unfamiliar with the terminology; allow me to explain. Google (and other search engines) value relevant, well written content highly. After all, they want to provide their users with a great search experience, so it makes good sense. In the past, Google have released a number of algorithms (or formulas) to ensure that they bring only the best sites to the top of the search results page. You’re probably already familiar with the famous ones; Panda, Penguin and Hummingbird. Recently, the Google Webmaster Central Blog released a statement, declaring that another significant algorithm would be arriving on the 21st April… and this time, it’s all about the mobile friendliness of your site. Just What is ‘Mobile Friendliness’? The ways in which people search online has changed dramatically in recent years. Rewind four or five years, and most internet searches were still conducted using the trusty laptop or desktop computer. However, these days, the internet has definitely become fully mobile. Many people use their smartphones to browse, communicate and shop online; and if your site isn’t accommodating to this fact, you might find yourself losing valuable custom. How do you know whether or not your site is mobile friendly? Well, there’s an easy way to find out. Whip out your smartphone and check it over. Does it download quickly? Is it easy to read and simple to navigate? If so, it’s probably already optimised for mobile usage. If not, now is the time to address the problem… and fast! Here’s what Google actually had to say on the matter. There’s a few key phrases there that are especially important. Firstly, Google have specifically stated that mobile-friendliness will be a ranking signal. Secondly, and most importantly, they’ve indicated that it will have significant impact in terms of where your site ranks on Google. Put more simply: if your site isn’t mobile friendly, you’ll notice a drop in your rankings. Time is running short, so it’s imperative to take action as soon as possible. In typical style, Google have been somewhat evasive about the details; but here’s some things that came out in a recent Q & A with a webmaster trends analyst. Mobile friendliness will be gauged by each page, not site-wide. Responsive website design doesn’t seem to offer any specific ranking benefit. Tablets won’t be affected by this specific update. Responsive or Mobile Only Site? If you want to stay ahead on Google, you’ll need to get talking to a professional web designer as soon as possible about the options available to you. Basically, you can choose to have a new, fully responsive site built or a separate mobile-friendly site. Here’s some things to consider when making your decision. Make it mobile-friendly. Above all else, take on board Google’s warning, and make your site mobile-friendly. It’s actually not as hard or time-consuming as you might expect; especially if you choose a ‘mobile only’ site, rather than a responsive site. 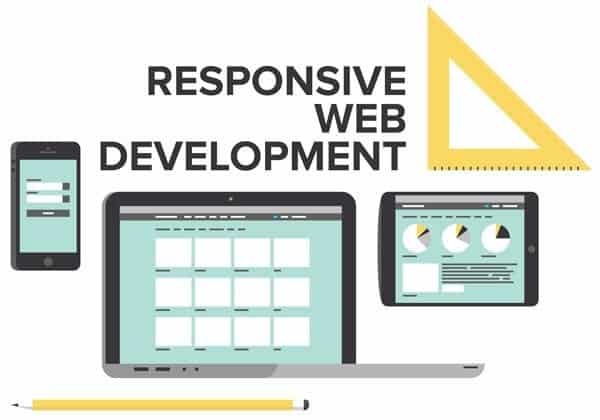 However, a responsive site is generally viewed as the better option in the long-term. Discuss your options, as there will be a cost difference. Get correctly optimised. If you do decide to choose a mobile only site, remember that it’s likely to be built on a subdomain, and as a result, your web designer will need to use canonical tags directed to the desktop URL. If this isn’t done, you could be penalised for duplicate content. Responsive sites don’t need to worry about this. Mobile site sales. Interestingly, mobile only sites seem to enjoy better conversion when it comes to sales. This is because the sites are tailored specifically for mobile usage, which makes them that much easier for people to browse and purchase. Learn to link. Link-building is a great way of boosting rankings (if you do it properly). It’s generally considered easier to link to one responsive site rather than to two; and you also need to be aware that mobile links are created in a different way, so you’ll need a separate SEO campaign.